Lol la partie Gliscor Vs Foretress ! Battle between lolo1994 and KristianDahl started! Huzzag is watching the battle. Mentali is buffeted by the sandstorm! KristianDahl's Donphan used Piege De Roc! Pointed stones float in the air around lolo1994's team! Scorvol restored HP using its Poison Heal! The attack of Scorvol missed! Pointed stones dug into Mentali! Reborn Legacy is watching the battle. KristianDahl's Donphan lost 52% of its health! Heroscape is watching the battle. KristianDahl's Donphan restored a little HP using its Leftovers! Pointed stones dug into Scorvol! KristianDahl's Crustabri was badly poisoned! KristianDahl's Crustabri is buffeted by the sandstorm! KristianDahl's Crustabri is hurt by poison! Pointed stones dug into Aquali! Aquali is buffeted by the sandstorm! Aquali restored a little HP using its Leftovers! KristianDahl's Celebi is buffeted by the sandstorm! KristianDahl's Celebi restored a little HP using its Leftovers! Pointed stones dug into Victini! Victini had its energy drained! Victini is buffeted by the sandstorm! KristianDahl's Donphan lost 14% of its health! Noacier used Piege De Roc! Pointed stones float in the air around KristianDahl's team! KristianDahl's Donphan used Tour Rapide! KristianDahl's Donphan is hurt by Noacier's Rocky Helmet! KristianDahl's Donphan blew away Stealth Rock! KristianDahl's Donphan lost 28% of its health! Pointed stones dug into Tyranocif! KristianDahl's Latios is hurt by its Life Orb! KristianDahl's Latios is buffeted by the sandstorm! Aquali had its energy drained! Aquali's health is sapped by leech seed. KristianDahl's Celebi was badly poisoned! KristianDahl's Celebi is hurt by poison! Aztec is watching the battle. KristianDahl's Latios was badly poisoned! KristianDahl's Latios is hurt by poison! KristianDahl's Latios used Choc Psy! KristianDahl's Celebi is being sent back! KristianDahl's Celebi lost 38% of its health! KristianDahl's Terrakium used Close Combat! KristianDahl's Terrakium's DÃ fense fell! KristianDahl's Terrakium's DÃ f. SpÃ . fell! KristianDahl's Terrakium lost 100% of its health! Lefa is watching the battle. KristianDahl's Jirachi lost 100% of its health! Victini's DÃ f. SpÃ . fell! KristianDahl's Crustabri lost 31% of its health! Battle between South and Mr Dragonite started! Mr Dragonite's Jolteon used Cage-eclair! Cizayox is paralyzed! It may be unable to move! Mr Dragonite's Jolteon lost 100% of its health! Mr Dragonite forfeited against South! Battle between South and Adrian MarinK started! Adrian MarinK's Politoed's Drizzle made it rain! Adrian MarinK's Politoed used Surf! Adrian MarinK's Politoed lost 80% of its health! Triopikeur hung on using its Focus Sash! Adrian MarinK's Politoed lost 19% of its health! Adrian MarinK forfeited against South! Petit match assez serré au cours duquel, une fois de plus, l'aide de Chapicheap m'aura été précieuse ! Zapdos ennemi a utilisé Tonnerre! Zapdos ennemi a utilisé Toxik! Zapdos ennemi rate son attaque! Zapdos ennemi est gravement empoisonné! Leuphorie a utilisé Laser Glace! Nidoking ennemi a perdu 41% de sa vie! Nidoking ennemi restored a little HP using its Leftovers! Nidoking ennemi a utilisé Seisme! Feuforeve restored a little HP using its Leftovers! Nidoking ennemi a utilisé Toxik! Feuforeve a utilisé Regard Noir! Nidoking ennemi can no longer escape! Nidoking ennemi a utilisé Poing De Feu! Feuforeve a utilisé Onde Folie! Le pokémon se blesse dans sa confusion! Nidoking ennemi a perdu 10% de sa vie! Nidoking ennemi n'est plus confus! Ronflex restored a little HP using its Leftovers! Steelix ennemi a utilisé Malediction! Attaque de Steelix ennemi augmente! Défense de Steelix ennemi augmente! Vitesse de Steelix ennemi baisse! Steelix ennemi a perdu 33% de sa vie! Steelix ennemi restored a little HP using its Leftovers! Steelix ennemi a utilisé Explosion! Zapdos ennemi souffre du poison! Zapdos ennemi restored a little HP using its Leftovers! Zapdos ennemi a perdu 36% de sa vie! Zapdos ennemi a utilisé Detection! Zapdos ennemi a perdu 32% de sa vie! Vaporeon ennemi a utilisé Detection! Leuphorie a utilisé Glas De Soin! Vaporeon ennemi a utilisé Toxik! Vaporeon ennemi est gravement empoisonné! Vaporeon ennemi a utilisé Hydrocanon! Vaporeon ennemi souffre du poison! Crustabri restored a little HP using its Leftovers! Vaporeon ennemi restored a little HP using its Leftovers! Spikes were scattered all around the feet of [WOG]Edge's team! Vaporeon ennemi a utilisé Acidarmure! Défense de Vaporeon ennemi augmente beaucoup! Vaporeon ennemi a perdu 51% de sa vie! Vaporeon ennemi a perdu 9% de sa vie! Suicune ennemi is hurt by spikes! Suicune ennemi restored a little HP using its Leftovers! Suicune ennemi a utilisé Hydrocanon! Suicune ennemi a utilisé Toxik! Suicune ennemi a utilisé Blizzard! Suicune ennemi est gravement empoisonné! Suicune ennemi a perdu 6% de sa vie! 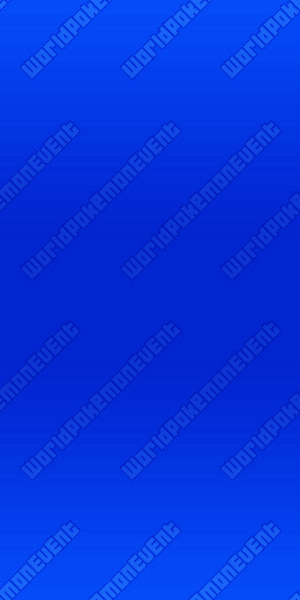 Suicune ennemi a utilisé Voile Miroir! Suicune ennemi souffre du poison! Blissey ennemi is hurt by spikes! Blissey ennemi restored a little HP using its Leftovers! Blissey ennemi a utilisé Toxik! Blissey ennemi est gravement empoisonné! Blissey ennemi a utilisé Deflagration! Blissey ennemi souffre du poison! Suicune restored a little HP using its Leftovers! Blissey ennemi a utilisé Abri! Blissey ennemi rate son attaque! Suicune ennemi was dragged out! Blissey ennemi was dragged out! Blissey ennemi a utilisé E-coque! Nidoking ennemi is hurt by spikes! Nidoking ennemi was dragged out! Nidoking ennemi a perdu 68% de sa vie! Suicune went to sleep and became healthy! Nidoking ennemi a perdu 39% de sa vie! Suicune ennemi a perdu 11% de sa vie! Suicune ennemi rate son attaque! Blissey ennemi a perdu 12% de sa vie! Blissey ennemi a perdu 23% de sa vie! Suicune ennemi a perdu 10% de sa vie! Blissey ennemi a perdu 11% de sa vie! [spoil]Battle between Il' and [WOG]Edge started! The foe's Crustabri lost 100% of its health! Sympa, d'où vous vient cette soudaine envie de jouer 2G ? Battle between [WOG]Edge and Il' started! The foe's Feunard became confused! The foe's Feunard is confused! The foe's Feunard lost 8% of its health! The foe's Feunard lost 2% of its health! The foe's Feunard lost 9% of its health! The foe's Feunard snapped out its confusion! The foe's Feunard is freed from Fire Spin! The foe's Feunard used Confuse Ray! Ninetales snapped out its confusion! The foe's Feunard lost 5% of its health! The foe's Feunard used Body Slam! The foe's Staross used Thunder Wave! Gengar is paralyzed! It may be unable to move! The foe's Staross used Blizzard! The foe's Staross lost 58% of its health! The attack of Gengar missed! The foe's Noadkoko used Psychic! The foe's Leveinard became confused! The foe's Leveinard lost 2% of its health! The foe's Leveinard is confused! The foe's Leveinard snapped out its confusion! The foe's Leveinard is freed from Fire Spin! The attack of Ninetales missed! The foe's Leveinard used Thunder Wave! Ninetales is paralyzed! It may be unable to move! The foe's Leveinard used Softboiled! The foe's Leveinard regained health! Ninetales is paralyzed! It can't move! The foe's Leveinard lost 32% of its health! The foe's Ronflex lost 20% of its health! The foe's Ronflex used Body Slam! The foe's Ronflex lost 26% of its health! The foe's Ronflex is paralyzed! It may be unable to move! The foe's Ronflex used Hyper Beam! Snorlax went to sleep and became healthy! The foe's Ronflex is paralyzed! It can't move! The foe's Ronflex lost 28% of its health! The foe's Ronflex used Selfdestruct! The foe's Noadkoko is paralyzed! It may be unable to move! The foe's Noadkoko used Stun Spore! Alakazam is paralyzed! It may be unable to move! Alakazam is paralyzed! It can't move! The foe's Noadkoko lost 25% of its health! The foe's Noadkoko is paralyzed! It can't move! The foe's Leveinard lost 14% of its health! The foe's Leveinard used Thunderbolt! The attack of Vaporeon missed! Vaporeon is paralyzed! It may be unable to move! The foe's Noadkoko lost 34% of its health! The foe's Noadkoko lost 33% of its health! The foe's Noadkoko used Explosion! Il': Vaporeon ennemi a évité l'attaque! The foe's Leveinard was badly poisoned! The foe's Leveinard is hurt by poison! Vaporeon is paralyzed! It can't move! Chansey is paralyzed! It may be unable to move! Chansey is paralyzed! It can't move! The foe's Staross used Recover! The foe's Staross regained health! The foe's Staross is paralyzed! It may be unable to move! The foe's Staross is already paralyzed. The foe's Staross lost 30% of its health! The foe's Staross is paralyzed! It can't move! The foe's Staross used Thunderbolt! The attack of Chansey missed! Il': Il te reste combien de PP sur Frappe Atlas :v ? [WOG]Edge: et toi sur soin ? Il': Combien de PP Toxik ? The foe's Staross used Struggle! The foe's Staross is hit with recoil! The foe's Staross lost 5% of its health! Chansey is hit with recoil! The foe's Staross lost 4% of its health! The foe's Staross lost 10% of its health! The foe's Tauros used Body Slam! Petite vidéo d'un match durant lequel je testais une RDT NU. De retour pour poster un petit match 2G bien sympa. Battle between [Team Sonic] Vector and Hernandez started! LexxApnea is watching the battle. The foe's Cece used Cotton Spore! [Team Sonic] Vector called Cece back! The foe's Engarde was badly poisoned! The foe's Engarde used Icy Wind! The foe's Engarde was hurt by poison! The foe's Engarde restored a little HP using its Leftovers! Gengar restored a little HP using its Leftovers! [Team Sonic] Vector called Engarde back! The foe's Yatagarasu lost 40% of its health! The foe's Yatagarasu restored a little HP using its Leftovers! The foe's Yatagarasu used Growth! The foe's Yatagarasu's Sp. Att. rose! The foe's Yatagarasu used Baton Pass! [Team Sonic] Vector called Yatagarasu back! The foe's Butz's Defense sharply fell! The foe's Butz used Sleep Powder! [Team Sonic] Vector called Butz back! The foe's Godot used Sunny Day! The foe's Godot lost 40% of its health! The foe's Godot used Fire Blast! Zapdos restored a little HP using its Leftovers! Tyranitar restored a little HP using its Leftovers! [Team Sonic] Vector called Godot back! The foe's Klavier lost 16% of its health! The foe's Klavier restored a little HP using its Leftovers! The foe's Klavier used Earthquake! It had no effect on Zapdos! The foe's Klavier lost 58% of its health! The foe's Klavier used Rock Slide! [Team Sonic] Vector called Klavier back! The foe's Cece lost 14% of its health! The foe's Cece restored a little HP using its Leftovers! Zapdos went to sleep and became healthy! The foe's Cece used Thunderbolt! The foe's Cece lost 19% of its health! The foe's Cece used Fire Punch! Steelix restored a little HP using its Leftovers! The foe's Butz was badly poisoned! The foe's Butz was hurt by poison! The foe's Butz restored a little HP using its Leftovers! The foe's Butz lost 22% of its health! The foe's Butz used Explosion! The foe's Engarde used Explosion! It had no effect on Gengar! The foe's Yatagarasu was badly poisoned! The foe's Yatagarasu used Curse! The foe's Yatagarasu's Attack rose! The foe's Yatagarasu's Defense rose! The foe's Yatagarasu's Speed fell! The foe's Yatagarasu was hurt by poison! The foe's Yatagarasu lost 18% of its health! The foe's Godot was dragged out! The foe's Godot used DynamicPunch! The foe's Klavier lost 26% of its health! Gengar is trying to take the foe down with it! The foe's Klavier used Fire Blast! The foe's Yatagarasu lost 47% of its health! The foe's Klavier lost 27% of its health! The foe's Klavier used Cross Chop! The foe's Klavier lost 13% of its health! Machamp restored a little HP using its Leftovers! The foe's Cece lost 58% of its health! It had no effect on Steelix! The foe's Cece lost 53% of its health! The attack of the foe's Godot missed! The foe's Godot used ThunderPunch! The foe's Godot lost 59% of its health! Hernandez: Bien joué à toi ! Toujours un match en 2G ... Machamp Power ! Battle between Hernandez and sagaspectro started! The foe's Nidoking used Earthquake! The foe's Nidoking used Lovely Kiss! The attack of the foe's Nidoking missed! The foe's Snorlax lost 23% of its health! The foe's Snorlax restored a little HP using its Leftovers! The foe's Snorlax used Belly Drum! The foe's Snorlax cut its own HP and maximized its Attack! The foe's Snorlax lost 26% of its health! The foe's Snorlax used Counter! The foe's Miltank was badly poisoned! The foe's Miltank used Earthquake! The foe's Miltank was hurt by poison! The foe's Raikou was dragged out! The foe's Raikou used Crunch! The foe's Raikou was badly poisoned! The foe's Suicune lost 45% of its health! The foe's Suicune restored a little HP using its Leftovers! The foe's Suicune used Surf! The foe's Suicune used Ice Beam! The foe's Suicune fell asleep! Exeggutor restored a little HP using its Leftovers! The foe's Nidoking lost 25% of its health! The foe's Nidoking had its energy drained! The foe's Nidoking restored a little HP using its Leftovers! The foe's Nidoking used Thunderbolt! The foe's Snorlax lost 24% of its health! The foe's Gengar used Fire Punch! The foe's Gengar used Ice Punch! The foe's Gengar lost 100% of its health! The foe's Miltank restored a little HP using its Leftovers! The foe's Miltank used Heal Bell! The foe's Suicune lost 66% of its health! The foe's Suicune lost 12% of its health! The foe's Raikou used Reflect! Reflect raised sagaspectro's team defense! The foe's Raikou lost 55% of its health! The foe's Raikou restored a little HP using its Leftovers! The foe's Raikou used Thunder! The foe's Raikou lost 50% of its health! The foe's Nidoking used Fire Blast! The foe's Nidoking lost 57% of its health! The foe's Nidoking lost 43% of its health! The foe's Nidoking lost 16% of its health! Gengar took the attacker down with it! 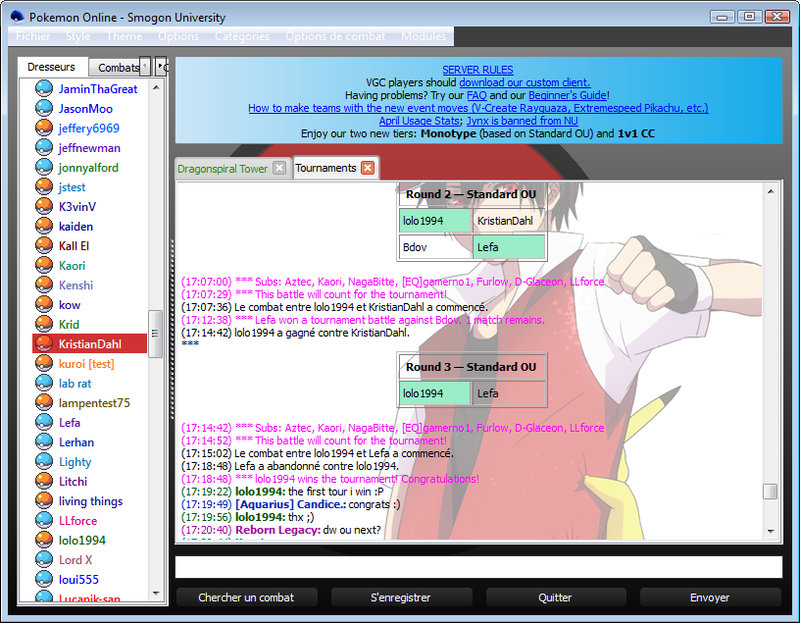 Bon j'ai un peu honte de poster ça en stratégie, mais j'ai une vidéo pour montrer ma première victoire en OU sur PokemonShowdown. Ptéra est passé de mode (il appartient au tier RU). C'est là qu'on voit que tu es un ancien joueur de 4G Dans la 5G, la notion de lead est beaucoup plus superflue (sauf dans les Climat Team où on envoie son Climat Enducer au 1er tour le plus souvent). Avec l'arrivée du Team Viewer, on envoie le pokémon qui aura le match-up le moins difficile tout simplement. Ton set de Tritosor me laisse un peu perplexe, Bien qu'il ne soit pas mavais, je pense qu'un classique avec Toxik + Ebullition serait plus efficace. Dimoret est très faible face à Cizayox. Si ton propre Cizayox es tombé, tu n'auras plus rien pour résister à Pisto-poing et ta team pourrait très bien se faire décimer si le Cizayox adverse est envoyé face à Dimoret et place une Danse-Lames alors que tu le switch. Le core Eau / Feu / Plante n'est pas présent ! Je peux comprendre qu'une Rain Team se passe de pokémon Feu par exemple mais toi tu n'as aucun climat et tu es donc totalement libre du choix de tes pokés. Je te conseille vivement de respecter ce core qui rendra ta team très solide. Tu as laissé Tritosor contre Célébi... Une faiblesse x4 Plante ça fait mal non ? Au tour 9, pourquoi as-tu switché Ectoplasma ??!! Tu as vu que tu avais le potentiel pour le 2HKO et Ectoplasma est bien plus rapide que Scorvol ! En plus, Ectoplasma est connu pour être un des meilleurs contres de Scorvol (immunités à Toxik et aux attaques de type Sol, et Ecto frappe fort sur le spécial alors que Scorvol est un staller physique). Bon, il avait switché mais tu aurais bien endommager Jirachi et tu aurais pu mieux décider de ton switch en connaissant le poké qui a été envoyé. Lorsque tu as Cizayox contre Jirachi, je te conseille vraiment d'utiliser Pisto-Poing. La probabilité d'attaquer est tellement faible vu que tu es paralysé et que Jirachi utilise Iron Head qu'il vaut mieux utiliser Pisto-Poing (ainsi, tu ne pourras pas être appeuré par Jirachi). Bonnes décisions avec Noctali. Le fait d'utiliser Voeu laisse l'adversaire dans le doute à chaque fois et c'est pour ça que ton adversaire est resté sur le terrain avec son Célébi alors qu'il était empoisonné. Le switch sur Cizayox a été fait au bon moment. Du coup j'ai plus besoin de lead et ptéra est inutile, je peux le remplacer par un sweeper alors ? Je me rapelle que dans platine j'avais un Simiabraz que j'aimais bien, si je le met là ça améliore l'équilibre de ma team du coup ? Ca me fait une résistance pour Cizayox. Sinon Tritosor le set est surf, laser glace, baillement, soin. Mais je garderais bien laser glace pour les dragons. Pourquoi n'as-tu pas utilisé Piqure (Bug Bite) sur Jirachi ? Tu l'aurais OHKO. Sinon, je vois que tu as bien écouté mes conseils en ce qui concerne Tritosor et Ectoplasma (tu l'as placé face à Scorvol qui a été switché de force). Pour Tritosor, je te conseillerai juste Ebullition à la place de Surf et Toxik à la place de Baillement. L'idée c'est de changer le statut adverse afin que le pokemon se prenne des dégâts chaque tour et toi tu peux te contenter de spammer Soin. Au fait, ton ectoplasma n'a pas Focus Blast ? Ça aurait été assez efficace contre Heatran. Pour ta team, Simiabraz est un bon choix je pense. Je jouerai aussi Noacier à la place de Noctali histoire d'avoir un staller plutôt porté sur le physique (actuellement, tu as 2 stallers spé et aucun physique). J'ai pas fait piqure car je pensais l'avoir avec casse brique a cause du tye acier, mais c'est vrai que j'ai zappé l'histoire du stab ici avec le type psy en prime. Noacier j'aime pas sa tête ^^ Je sais que c'est une excuse un peu bidon, en fait j'ai mis max ev dans la défense de Noctali histoire qu'il soit résistant pour les 2. Il a aussi le caractère relax (+def -vit). Après j'sais pas si ça suffit a en faire un staller physique correct. Chronogo : averto oral pour flood. Tu pourrais me dire comment mettre les combats ? STP ? C'est a dire comment récupérer les données du jeu. Chronogo : si tu combats sur PS, à la fin du combat tu cliques sur "Share Replay". Si tu combats sur Linker, tu peux enregistrer ton combat à la fin (avec un objet dont je ne sais plus le nom), puis tu mets ta sauvegarde sur ordinateur, tu lances le jeu avec un émulateur, tu visionnes le combat et tu "filmes" l'écran de ton ordi (avec des logiciels comme Webinaria par exemple). Si tu joues sur vraie cartouche, ça devient vraiment difficile, il faut des câbles qui coûte un bras pour pouvoir faire une capture vidéo de ce qui se passe sur ta DS.